Many brides are looking for one gown of a kind. And that’s exactly what you’ll find at the Lihi Hob Trunk show at Diamond Bridal Gallery. Hailed as the best Israeli designer of 2014 and 2016, Lihi Hob’s gowns are truly unique. The reason? Luxury fabric, small details, and the unexpected pairing of classic elegance with modern-chic. Take the Zoe gown: a corset lace bodice is timeless elegance, but paired with all over illusion lace and a structured sheath silhouette. While the off the shoulder, layered lace and statement bow of gown Ella screams vintage, plunging necklines, touches of blush, and beaded pearl bodice evokes city life and glamour of in both the classic and modern traditions. Other details to look for? Draped necklines, crystal embroidery, and bohemian inspired skirts. 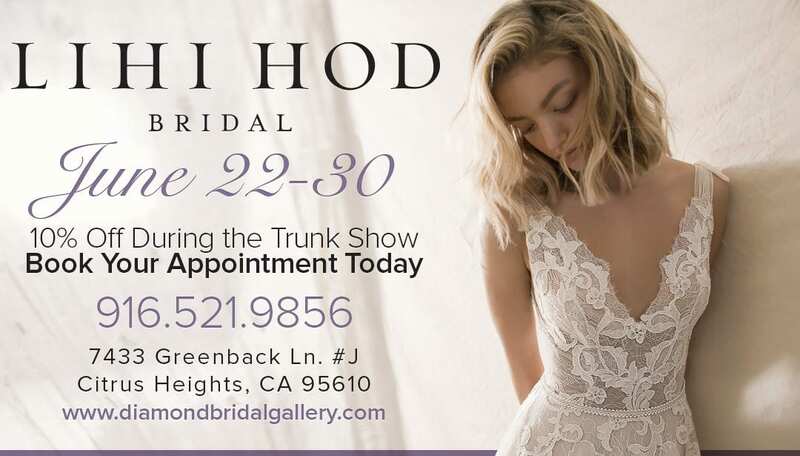 For more information about this one of a kind trunk show, contact Diamond Bridal Gallery today.